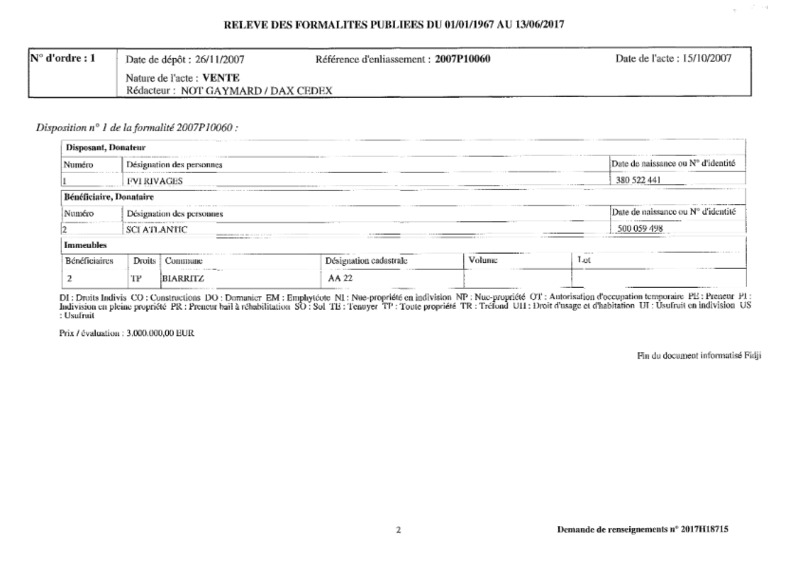 Vladimir Smirnov’s company on Jersey, VS REAL ESTATE INVESTMENTS LIMITED, related to German company, SPAG, co-established by the St. Petersburg City Hall Property Committee, investigated for money laundering. Unique shareholder as per 2004: Larisa Drozdova, spouse of Smirnov. 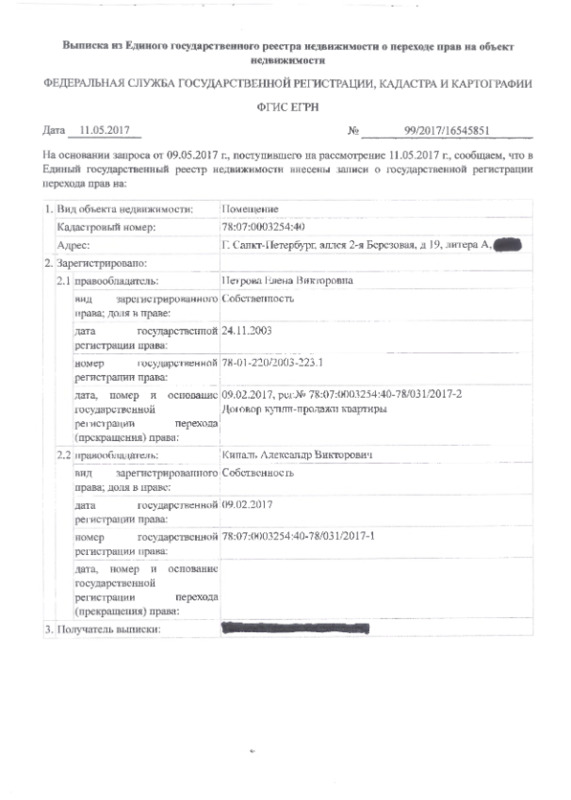 Property registry certificate, Russia, proving that until 2017, Gennady Petrov’s wife Elena Petrova had an apartment in a luxury St. Petersburg house next to the residences of shareholders of Bank Rossiya and members of the Ozero cooperative. The house on the 2nd Berezovaya Alleya 19, is guarded by the FSB. Adjacent are FSB and Presidential residences. 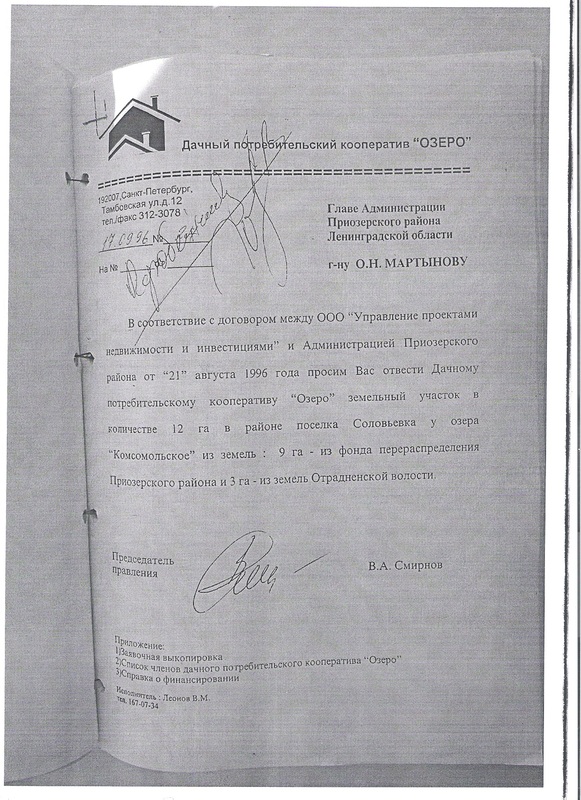 In 1992-1995 Petrov was prosecuted in Sankt-Petersburg for racketeering and creation of criminal community. During the trial witnesses forgot their claims. A letter to St Petersburg’s court was pretended to be signed by a man closed to yakudza gambling’s businessman Kinichi Kamiyasu. It stated that Petrov is “an honest representative of Russian business world, accomplishing task of filling Russian market with Western goods” and the petitioner proposed a deposit in “convertible currency”. Later Kinichi Kamiyasu stated in the press that Petrov paid a bribe and that he signed empty blanks. Petrov was accused of money laundering and criminal association in Spain in 2008, but escaped to Russia; his employees in Spain were acquitted, basing on FSB reports and other justificatory evidence which came from Russia. 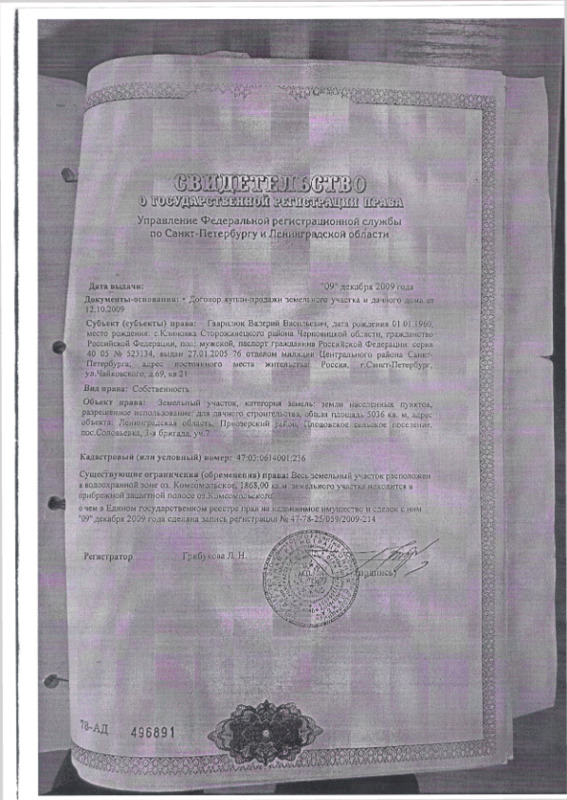 Title deed for property owned by Valery Gavrilyuk for an area of ground in the Ozero cooperative (initially co-established by Vladimir Putin, Nikolay Shamalov, and Vladimir Yakunin in 1999, where Yakunin and Shamalov kept parcels), issued in 2009.